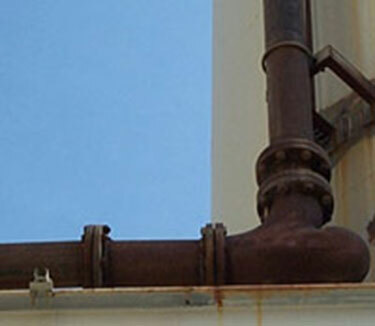 It's been four years since Tom Sorensen has had to replace an elbow in his pneumatic conveying lines. But life wasn't always this easy for the maintenance manager at Carbo Ceramics' Eufaula, Ala. facility. 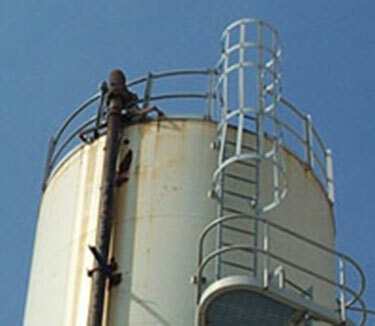 The company manufactures ceramic beads for use as proppants in oil and gas exploration and drilling. 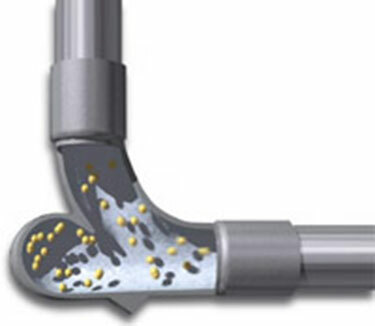 Global giants such as Halliburton and Schlumberger pump the ceramic beads into well bores to prop open newly induced fractures and enhance the flow of oil and natural gas to the surface. 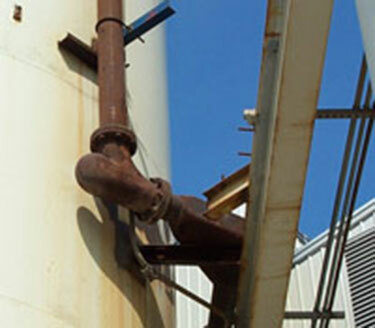 Inside Carbo Ceramics' Eufaula plant, however, the materials used to manufacture these proppants caused significant maintenance headaches in the elbows of the company's conveying lines. In 1999 and 2000, Sorensen and his team were patching and replacing the elbows as often as every week. Moving highly abrasive calcined kaolin to storage in 10 different silos, the conveying system used dense-phase pneumatic transporters to push the material through a dozen elbows in both horizontal and vertical configurations. The traditional long-radius elbows were no match for the material, according to Sorensen, who had to add a daily inspection of every elbow in the line to his list of responsibilities. The constant leaks and failures wreaked havoc on the company's operation. "Each elbow would wear through and leak within a week or two after installation," says Sorensen. "We would patch them up, but even that would only add a few more days to their operational life." With the elbows installed in a variety of accessible and hard-to-reach places throughout the conveying line, patching and replacing them was no easy task. Replacing some elbows, for example, required a workbasket lift and a two- to three-person crew. The costs in maintenance and the dozens of elbow replacements each year were adding up. And the spillage from the leaking kaolin led to lost production and increases in housekeeping chores. "We had to fix the situation," says Sorensen. As the situation approached a breaking point, Sorensen and a colleague noticed an ad in a trade magazine for a different type of conveying elbow, called the Smart Elbow® deflection elbow from HammerTek Corp., Bethlehem, PA. The technology has been used in some of the world's largest facilities handling ceramics, plastics, grains, minerals, food ingredients, and other materials. Based on the natural flow patterns and tendencies of fluids, the elbow's design concept is akin to how water flowing in a river is often caught in circular eddies before being released back into the current. The system combines a rounded chamber on a tight-radius elbow in a single, rugged unit. The conveyed particles gather and swirl inside the rounded chamber in a slowly rotating, self-renewing ball, absorbing new material while gradually releasing material to continue on its way in a first-in, first-out progression. Other particles moving toward the rounded chamber are deflected off of this rotating ball of air and material, and continue on their way through the system en route to storage. While traditional elbows invite collisions between the materials and the elbow wall, the Smart Elbow deflection elbow is designed to eliminate such wearing impact, instead causing gentle deflections that promote directional change without adversely affecting system pressure. Sorensen tested a single Smart Elbow model, a 6-inch tungsten carbide coated HammerLast™ 300, in June 2000. He quickly began replacing others as leaks occurred in the old elbows, until he eventually replaced all 12 with the new design. "The Smart Elbow deflection elbow far exceeded our expectations,” says Sorensen. "Upgrading to the Smart Elbow design was an easy decision." The model installed in Carbo Ceramics' Eufaula plant features a 300 BHN hardness. When combined with an interior coating of tungsten carbide, the elbow delivers a surface hardness rating of RC 69-70. According to HammerTek Application Engineering Manager, Linn Riggert, the elbow was specified after a thorough and careful study of Carbo Ceramics' material and process. Considerations included the air velocity in the conveying line, the rate of material loading in the line, the hardness of the material and other factors, as well as the company's previous experience with similar elbow metals and coatings. "The maintenance team at Carbo Ceramics was instrumental in providing the data and information we used to recommend the ideal elbow," explains Riggert. Since the installation, only one elbow of the 12 has been patched, and not one has required replacement. Sorensen's daily elbow inspections have been practically eliminated, along with the costly line downtime, maintenance, and cleanup expenses. "There are cost savings, but more importantly, you can't place a high enough value on the peace of mind," says Sorensen. "Installing Smart Elbow deflection elbows is an easy call for anyone processing ceramics or other abrasive materials."